Benoit Baudry (KTH) will present several STAMP technologies at the BreizhJUG meet-up. 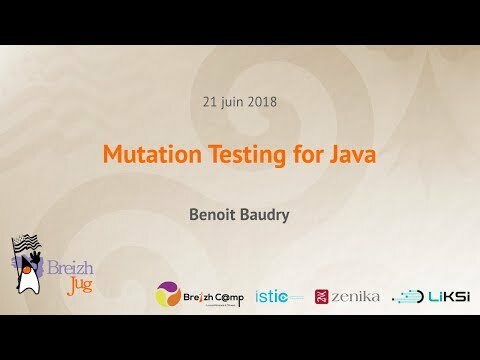 This talk introduces and illustrates the benefits of mutation testing to assess the quality of test suites. The intuition of this technique is simple: to determine if a test suite can detect bugs in a program, simply inject bugs in this program and check if the tests can detect them.